Looking for a creative, flexible, cost effective, durable, and great looking edging solution? You’ve Found It! Creative Edge. Creative Edge is the brand most people rely on when it comes to concrete curbing and edging. 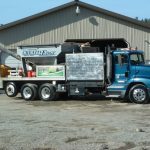 Established in the Spokane and North Idaho markets, over 31 years ago, as the premier concrete edging company, providing time tested durable, climate worthy, and permanent landscaping concrete borders. Creative Edge is a proven solution for keeping gravel drives in place, defining walking paths through natural landscapes, and separating island play areas or flower beds from your lawn. Add a Professional Look to Your Landscaping! Over the past fifteen years, continuous concrete landscape borders have become the number one product chosen by professional landscapers, do-it-your-selfers, and homeowners to create that professional look for a beautiful landscaped yard, garden and a well-defined driveway. Creative Edge has been installing landscape border control products, by professionals who employ their extensive knowledge of designing yards with concrete borders and curbing, providing a cost effective barrier between lawn and bedding areas. Concrete edging will prevent bedding material from drifting into the lawn area, and roots from traveling into the beds, leaving you more time to sit and enjoy your yard, instead of slaving away to keep it up. Our custom built trucks are fully equipped to carry materials out of town for your convenience. Creative edging can also be glued to asphalt for water drainage and erosion control. This product truly is a revolutionary product for your yard. 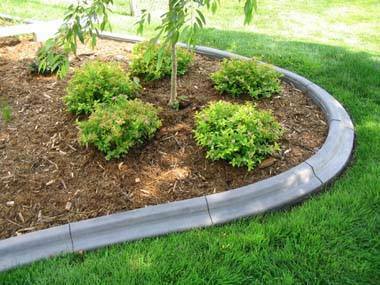 Take control of your landscape with creative concrete edging, borders, and curbing today. 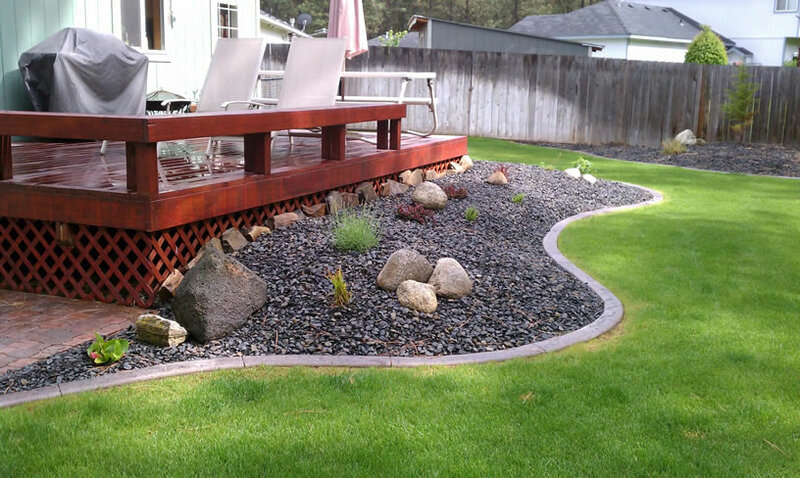 Spokane based Creative Edge is just one phone call or email away, to getting your landscape borders installed. Creative edging can be installed quickly and has proven cheaper than other substitute products such as poly edging, railroad ties, or bricks & stone, which you may have been tempted install on your own. (See Creative Edge project pictures on our gallery page, contact us for further information & pricing plans). We make it simple for you to choose the best concrete curbing style, size, color, and finish to create a custom built barrier that will be a neutral zone between your grass and flower beds. Installation is quick (100′ feet per hour) and drying time all within 24 hours. Visit Circle M Landscape Supply for your landscaping materials. Visit our sister company Western States Sealcoating & Striping for your asphalt crack repair and sealcoating needs. Click Here! Well it’s that time of year again for our season to come to a close. We had a great season here at Creative Edge and Western States, and we are looking forward to working with you next year.